29 jan 2019 - Bij toenemende stedelijke groei komen kwalitatieve waarden zoals duurzaamheid en geluk in het gedrang. Daarom is een herbezinning nodig op stedelijke waarden. Dat is de uitkomst van de debatavond ‘Rethinking urban growth’ op 16 januari in Pakhuis de Zwijger in Amsterdam, die mede georganiseerd werd door de Praktijkleerstoel Gebiedsontwikkeling TU Delft. De bijeenkomst is onderdeel van de sLIM-leergang 2019*. De livestream van het debat is terug te kijken op Dezwijger.nl. Dit verslag is alleen beschikbaar in het Engels. Dutch cities and regions are faced with important dilemmas. One is between their ambition to compete, prosper and offer a place for ever more inhabitants while maintaining high standards of social and environmental quality. Population growth, densification and economic wealth seem to be increasingly at odds with the health and happiness of inhabitants. Are there limits to urban growth and density in The Netherlands? And what qualities and values really matter when we plan for growth? 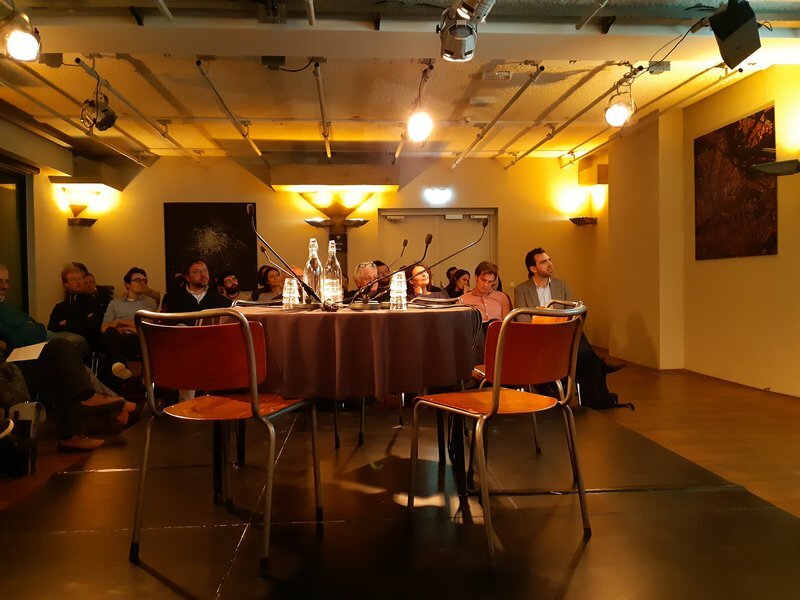 Experts from science and (inter)national practice explored these questions with the audience in a full (ware)house De Zwijger. What should cities of the future look like? During the first part of the debate, the participants are critical towards how the current economy affects the way that cities develop, endangers the use of resources and is not always socially fair. Paul Chatterton (professor of the University of Leeds) presents four ambitions in order to “unlock the real urban sustainability”. These four are the “car free-city, in which we unlock ourselves from automobile, fossil fuel, privatized and corporate-led mobility. The post-carbon city, in which we correspond with the aims of the Paris agreement. The bio-city, in which we reconnect to nature. And the common city, in which find a new deal for social equity.” He argues that these ambitions cannot be achieved by any sector alone, but requires thorough collaboration between governments, entrepreneurs, researchers and citizens. As the debate is hosted in Amsterdam, the city is used by the audience as a case in order to address issues of urban growth. A question is posed on the change of cultural DNA in Amsterdam. It is stated that current urban growth leads to homogeneous city centres where less prosperous people are expelled and skyscrapers come in place, and questioned how the city deals with this observation. Carolien Schippers (deputy director urban development Amsterdam) says that the 40-40-20 rule is applied in order to ensure a sufficient amount of affordable housing. The question illustrates well how social issues, such as affordable access to housing, are high on the agenda when talking about the sustainability of cities. Considering the higher, political level is the only way to realize impact, according to Antonio Ferreira (researcher at the University of Porto): “Changing lifestyles and consumption on an individual level is a minor intervention. Exchanging knowledge and striving for social innovation on a high level is what we need.” Paul Chatteron puts forward a taxation system that is based on land taxation rather than income taxation, which can be a solution in order to control and the benefits of capitalist multinationals in cities. He summarizes that action for sustainable cities is necessary at three levels: a microlevel for experiments, a macrolevel for a state interventions, and a mesolevel that represents an organizational structure for whatever is lacking in between. In the second part of the debate, the lack of vision on the growth of our cities is being discussed. Peter Pelzer (assistant professor at the University of Utrecht) shares an observation that fascinates him, namely the phenomenon that we are using negative definitions to talk about our futures: degrowth, decarbonization, car-free cities, post-fossil cities. He describes this as “defining where you want to go by describing where you do not want to go”. Pelzer argues that this observation is problematic, because these definitions show that we know what we don’t want, but we don’t know what we do want. According to him, we need another perspective on the good life and we need to develop an image of the future, since terms as ‘post-fossil’ are posing the diagnosis but not the remedy. We have to think beyond; what is our vision? In order to have and to convey a vision, you have to be able to think and talk about what future you want. That appears to be not that easy. “We teach history but we don’t teach thinking about the future. That would be an entry point to have better discussions about the future”, Pelzer concludes. From the audience, the question is posed how come that planners moved from having a clear vision towards having no real vision. An answer is that we are facing ‘wicked problems’, which make the challenges we are facing ambiguous and therefore difficult to envision. We see a paradigm shift of the current economic definition of values. 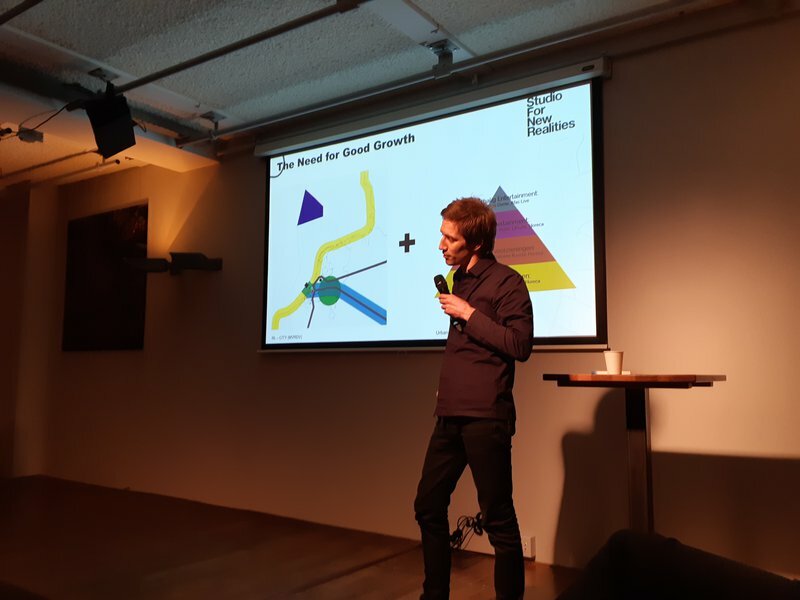 Jeroen Zuidgeest (strategic urban advisor and architect at Studio for New Realities) states that there is a need for good growth of our cities, which should be defined by a much broader definition of value. We should move away from striving for growth in a solely quantitative way and head into a qualitative direction. Qualities in life are tangible and simplistic, but apparently we are only able to crack and quantify the economic values. “What type of society do we want to be? How does that translate itself in types of values?”, Zuidgeest questions. Hans-Hugo Smit (Area marketeer at BPD Gebiedsontwikkeling) states that in order to build better cities, we should agree that projects and area developments can’t be fast, cheap and great all at the same time. We have to choose two. Smit adds that as a developer he prefers that the government provides clarity, a point on the horizon where we are striving for. He states that the government should not prescribe the assignment in detail beforehand because that erases all creativity and flexibility in the process. The government should therefore define a set of values and stop stacking all the details and requirements, and just leave it at that point on the horizon. Moreover, we have to know that we can’t have it all. “So make choices and set values for that; do not add extras on less important matters”, Smit advises. If we want to create better cities, everyone should take its own role and do what they do best. The planning system can be seen as a social phenomenon that helps us to understand the values that drive our cities. In this system, the government is concerned with policy making, long-term development and setting goals. “Governments in general often keep on talking about the politics of all their choices, whereas entrepreneurs are rational, economical based people who can decide very quickly and fill in the gaps”, according to Hans van Rossum (managing partner at Realconomy). In order to create better cities, we should combine best of both worlds and work closely together. *De missie van de Universiteit van Amsterdam (UvA) en TU Delft is het leveren van een kennisbijdrage aan en het vinden van oplossingen voor een duurzame samenleving. Het Center for Urban Studies van de UvA en de Praktijkleerstoel Gebiedsontwikkeling van de TU Delft doen dat met een bijzonder accent op intensief en meervoudig ruimtegebruik. De samenwerking tussen de UvA, TU Delft en stichting Leergang Intensief Meervoudig Ruimtegebruik (sLIM) is dan ook een logische. Samen maken zij de sLIM-leergang mogelijk, met “De uitdagingen van verstedelijking: van ideeën naar praktijk” als overkoepelend thema voor de periode 2019-2021.